I love fresh corn...simply love it. If you don't believe me, take a peek inside our composter, which is teeming with corn remains. OK, composter diving isn't the most savory idea, but the recipes in today's Eat Seasonal feature will offer savory and sweet inspiration. Corn is in season from July to mid-October in Massachusetts; here are 8 ways to enjoy corn across the mealtime spectrum. I'm thinking I will try #3 first for a party this weekend, with the bacon on the side to accommodate vegetarian guests. 1. 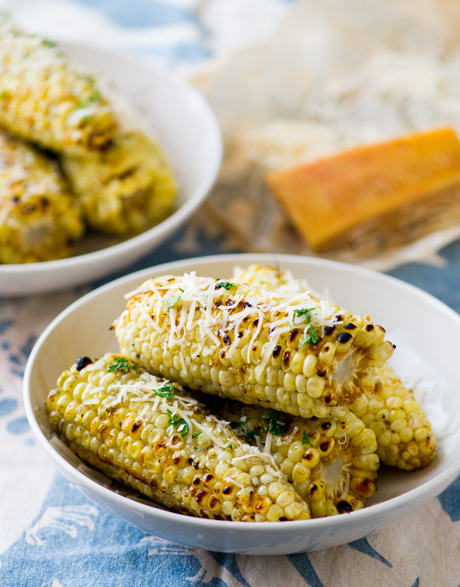 Fire up the grill for this super easy grilled corn with garlic and parmesan cheese. 2. 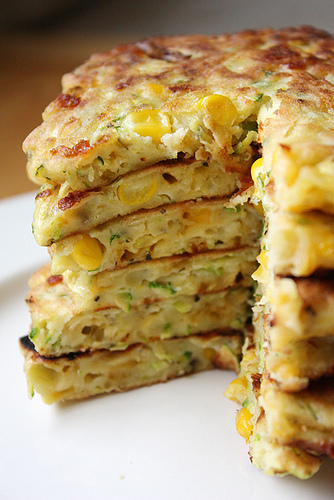 Zucchini corn pancakes are perfect any time of day. 3. 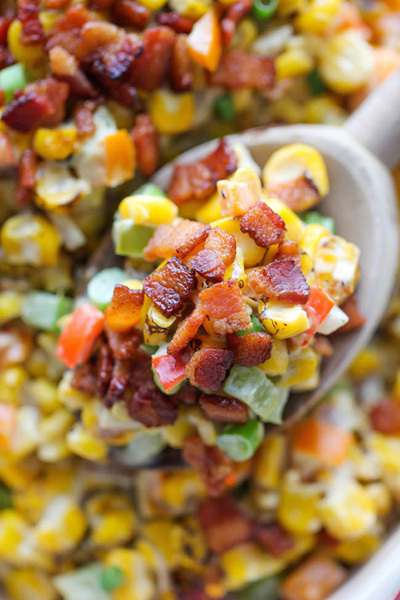 10 minutes to this creamy bacon corn dip -- sign me up! 4. 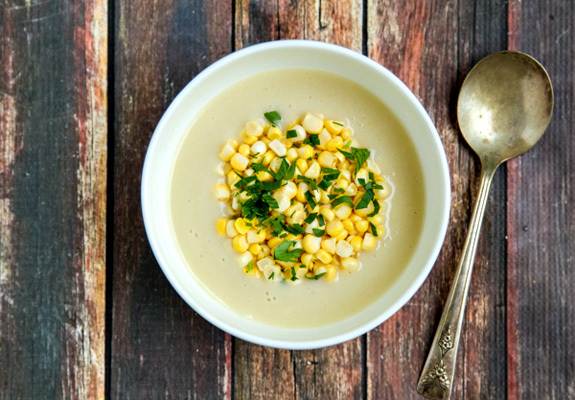 A lighter version of corn and potato chowder. 5. 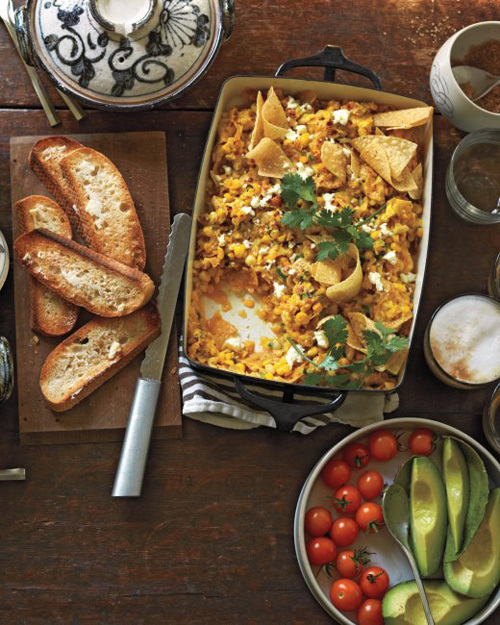 A new interpretation of the Mexican dish corn and scallion chilaquiles. 6. 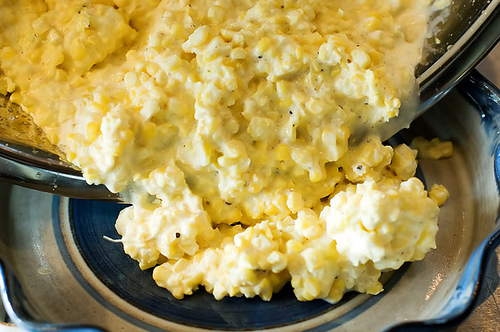 This creamy corn casserole isn't light but, well, who cares? 7. 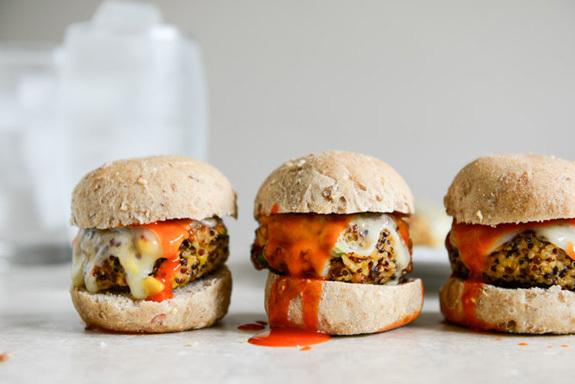 These crispy buffalo style quinoa sliders with sweet corn and scallions are a little more work, but, WOW. 8. 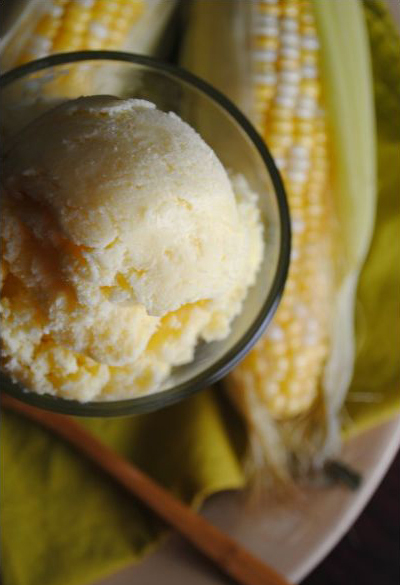 I'm completely intrigued by this sweet corn ice cream.